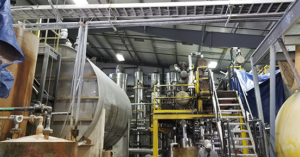 Industrial and manufacturing projects and biodiesel plants accompany unique challenges. Each facility differs from one unit to the other, with their own unique features and special characteristics. Sunderland Electric powers the industrial businesses and manufacturing plants all across Connecticut with diverse, innovative and versatile electrical wiring and service solutions. Our team of highly experienced professionals has all the skills and expertise to effectively tackle both big and small production plants, industrial settings, agricultural enterprises, water treatment spaces, packaging operations, and many other crucial components that keep the state running smoothly. Appropriate electrical designs and diligent repairs keep your industrial plants up to code, making them operate effectively and efficiently every day. Sunderland Electric leverages over a decade of experience and knowledge in electrical systems and service projects to equip industrial and manufacturing enterprises with robust, accessible, agile designs seamlessly matched to their requirements. Our top-notch electrical contractors transmute the job requirements, electrical demands, and project activities of your industrial space into a well-organized, comprehensive electrical layout fitting effectively with exceptional output within your budget constraints. Also, the added and emerging electrical requirements and hazards facing industrial settings and manufacturing plants make skilled, experienced installation a vital element in keeping your laborers safe and production efficiency up. Sunderland Electric has a complete team of technicians that are capable of identifying and installing the newest electronic technology which renders optimal control and monitors the industrial equipment securely. From very initial design to any troubleshooting issues, our professionals are skilled enough to get you working safely in the most efficient manner, keeping it operating for many years to come. Our well-versed professionals are excited to resolve your queries and tackle any industrial project. Contact us right away for any of your electrical service needs.